The Latvian company Cross Timber Systems recently built the first cross-laminated timber (CLT) material production plant in Northern Europe and Scandinavia. 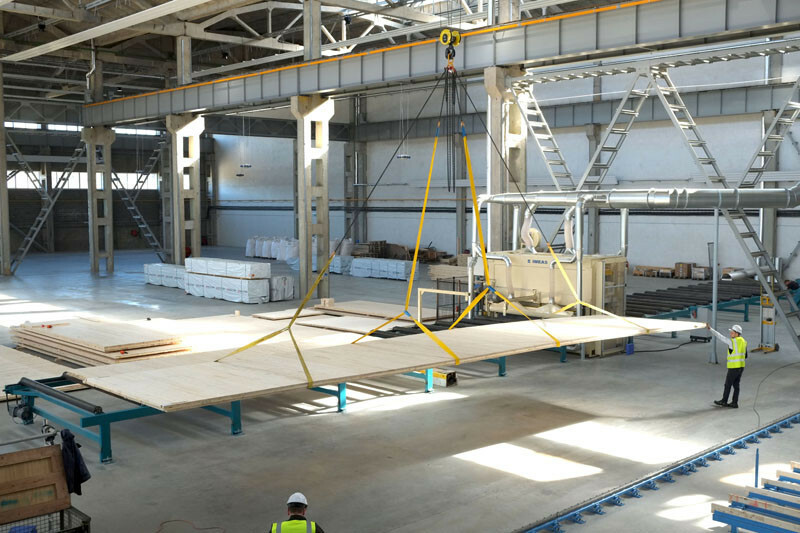 The plant in Jelgava offers more than 8.000 m² production area and warehouse facilities for which Ledinek supplied and put into operation the innovative state-of- the -art CLT production technology equipment. 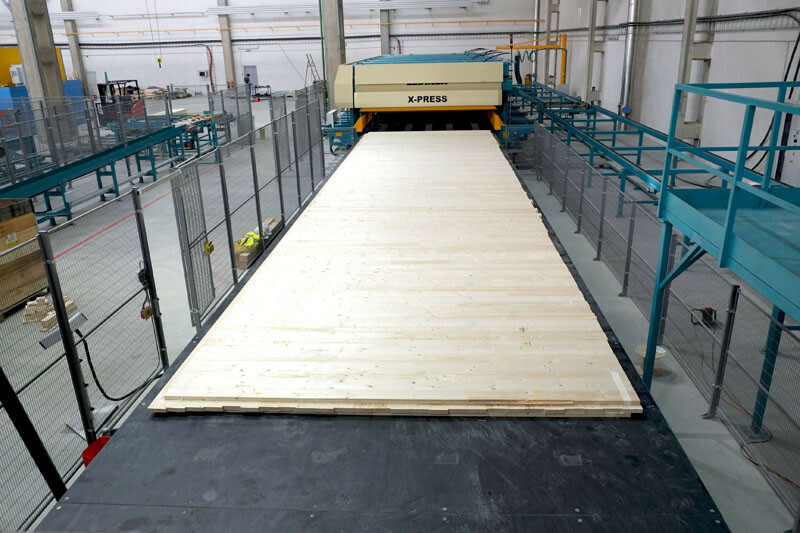 The annual production capacity of the plant is 25.000 m³ with maximum capacity up to 30.000 m³ of CLT products. Maximum size of CLT elements is 3,2 x 14 x 0,4 m. Cross Timber has already started the production and according to their words the first panel exceeded their initial expectations (more). We wish to Cross Timber Systems a lot of success with their new equipment.